Thank you for joining me as we count down to the MFT release. We are just one day away from the big day! All the new Stamps, Die-namics, and Stencils will be available on Tuesday, June 6 at 9:00 pm EST. Be sure to check out the MFT Blog to see all the new items being revealed today. Don't forget to leave a comment on the MFT Blog countdown posts, YOU could win one of the five $75.00 gift vouchers. I have a couple of A-maze-ing cards to share with you today, they both feature the You're A-maze-ing stamp set, Maze Shapes, Maze Spheres, and Circle Shaker Pouches. For the first card I paired a white maze with a print from the Tiny Hearts Brights Paper Pack. I LOVE this new pack of paper. 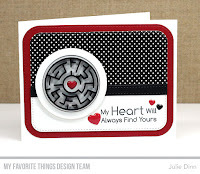 I used a Black maze on the next card, along with a print from the Black & White Paper Pack, and some red epoxy hearts. The fun sentiments are from the You're A-maze-ing stamp set. This set is full of great sentiments to use along with the new mazes. 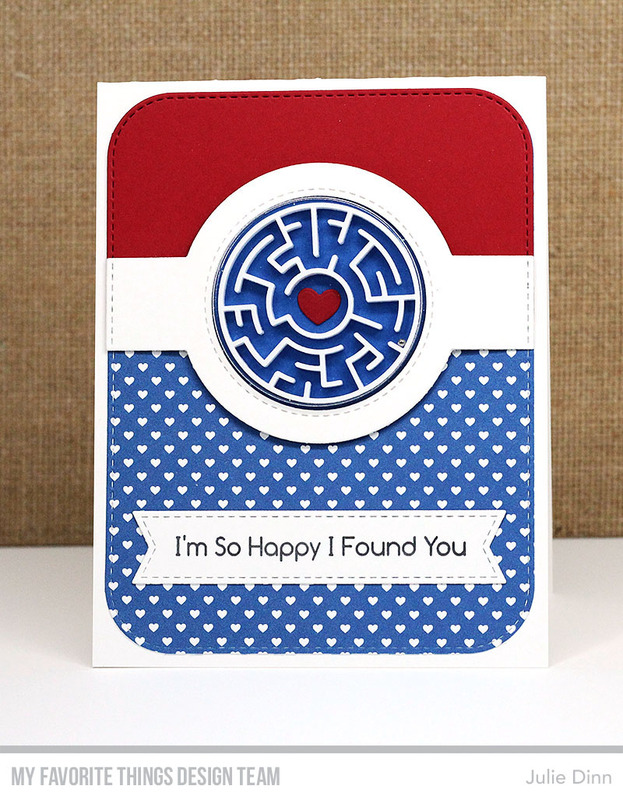 Terrific inspiration for the amazing maze for a 4th of July card and a Valentine's Day one! Beautiful designs!I like the second one better!Thank you for the inspiration. Both of these are Ahhhh-Mazing. Love the pattern paper against the solid cardstock. BRAVO! Such cute and interactive cards!!! Love the color combos on these!